I'm a person love nature so here I must share this info to you all here who also same same like me who love our Brunei nature too. Check this out.. 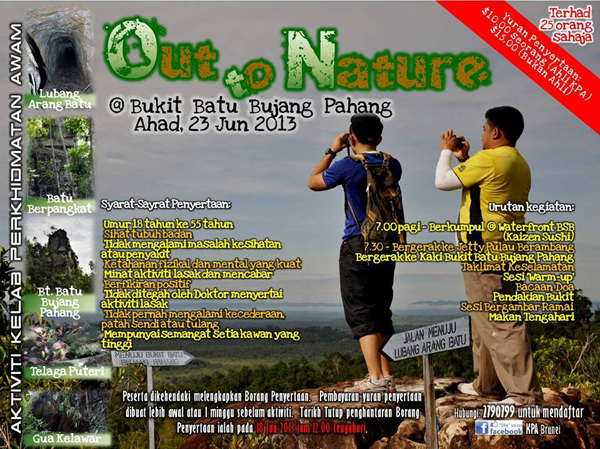 I'm going to joining them and see the place here at Bukit Batu Bujang Pahang, Sunday 23th June 2013. 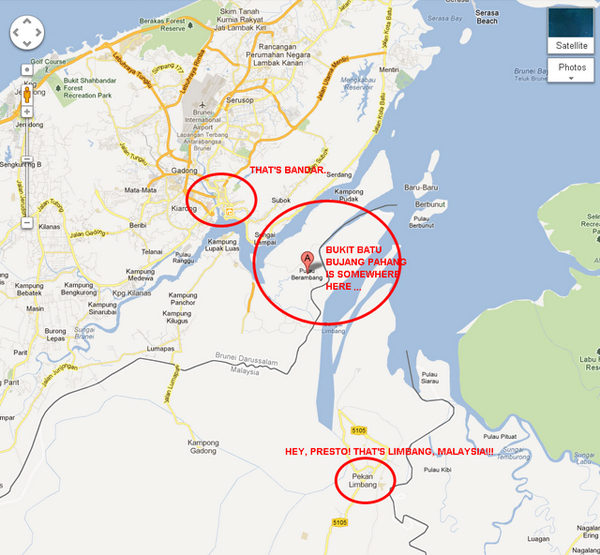 This is organize by the Kelab Perkhidmatan Awam a.k.a KPA Brunei. If you interested to join please register not late at 18 June noon. You must ages 18 above to 55. $10.00 for KPA member, non member only $15.00. Lunch is include, recommended bring extra water with you and some insect repellent or sun block lotion. For your information, this activity is limited to 25 people. To date, 21 participants have confirmed their participation so hurry up if you want to join. Call 2790799 or log on to their facebook page "like" them and ask further question. I really didn't know that we have such a beautiful place here when I saw the picture as below. 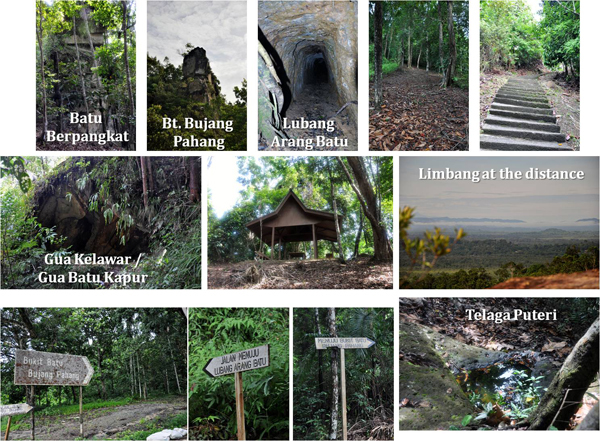 On the summit of Bukit Batu Bujang Pahang can see Limbang from there, mmm... look like I have to get ready my camera again for this trip... see you there Bruthers!! !